A fleet of modern vehicles and trailers capable at undertaking most general haulage work. Established in 1963 by Mr. Raymond Gillard, Gillard’s Transport Ltd is a well-known and respected General Haulage Company based at Bridgwater within Somerset. The company operates nationwide with a fleet of modern vehicles and trailers capable at undertaking most general haulage work. We pride ourselves on our highly skilled team of trained professionals who help us specialize in the movement of long and abnormal loads. 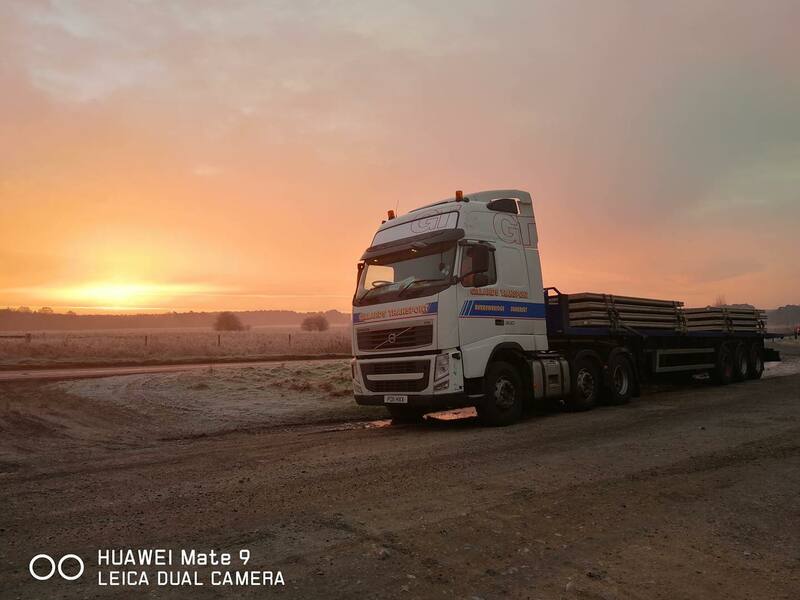 Our services range from, just in time general haulage, brick crane haulage, bulk haulage to specialist step frame low loader and extending trailer fleet. All our vehicles use live satellite tracking and recording systems to enhance security, progress reports and safety. We are fully insured and members of the Road Haulage Association (RHA). Whatever your requirements you can be rest assured, with Gillard’s Transport you will be working with a team of enthusiastic and fully committed staff achieving the best results for you. Gillard’s Transport operates step frame trailers with variable lengths at 21 metres. We have a fully equipped LGV workshop where we maintain and look after our own fleet as well as other people’s vehicles.